Last year while out at an air show in Las Vegas, my trusty D200 started telling me that its battery was dead. The battery indicator started flashing and the camera would no longer function. I had fired off about 1,500 frames by then. I turned the camera off and back on. The indicator then said I had about 40% battery life left. I was able to get about 4 or 5 more shots before the indicator flashed again and the camera shut down. Cycling the power off and on worked for 3 to 5 more frames before the camera shut down for the third time. The battery meter in the menu still said there was about 40% battery power remaining. I repeated the process a couple more times before I gave up on that battery. The camera was only 2 years old with less than 10K cycles on it. It shouldn’t be experiencing any issues. I spent hours and hours searching the Internet for answers. I read through dozens of websites, blogs, and forums – and the many unrelated comments they often contain – hoping to find something would help me solve this problem. The responses ranged from “yes, there is a problem” (duh), to horror stories of individuals sending out their cameras for service and getting them back weeks later with the problem still not fixed. 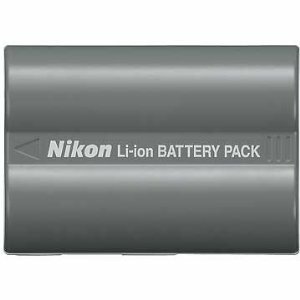 Eventually I was led by one blog to Nikon’s own tech support site. (I’d like to thank the owner of the site and give him/her proper acknowledgement here but unfortunately I forgot the name of the site where I found the tip.) The posting is in response to the question “Where can I find firmware downloads for my Nikon products?” Nikon’s response is filed under Answer ID 13783. Instructions for both Mac users and PC users are provided. Scroll down to find the D200 (other models are listed there, too) and select Mac or PC. You’ll be asked to verify, then update your camera’s firmware. Follow the directions carefully to avoid damaging your camera’s firmware. To test the camera after the update, I wanted to put it through its paces slowly at first but in a real-world setting. I chose an upcoming outdoor concert. It performed flawlessly through 100+ frames. The next week I subjected it to much more severe testing conditions at another air show. Again, flawless performance, this time through about 700 frames. My Nikon D200 is back in business! Disclaimer: Be advised that this is just one person’s experience with Dead Battery Syndrome. Nikon’s firmware update solved my D200’s DBS problem. I cannot guarantee it will work for every DBS situation but it is a good place to start.